£4000 of prizes to be won! Thanks to Simon for last month’s entertaining blog and I hope you’re all assiduously checking your toilet bowl before sitting down! I remember having a drink outside a rather seedy bar on the outskirts of Moscow. There were huge (well, rather large) rats scurrying around the back door and nobody at the other tables seemed to bat an eyelid. I spent the next few days feeling queasy and checking for buboes and other symptoms of the Black Death at regular intervals. This week I’ve been doing the final proofread of our updated ‘Profit from Your Photography’ module that we’ll be introducing to our Journalism and Creative Writing courses over the next couple of months. It’s been written for us by Tracy Hallett, who’s not only a talented photographer but has a knack of explaining clearly and simply how to get the results you want. Anyone seriously considering writing should obtain a copy of the Writers’ and Artists’ Yearbook. But you can now have access to a lot of the useful information contained in WAYB at their website. Obviously, they don’t give away everything for nothing! You do have to register, but it’s free and you even get a reduction on the price of the book. The site it well worth a visit and they currently have details of their 2010 competition with a £500 prize and a much-coveted place on an Arvon Foundation residential writing course. Talking of which, here at Writers Bureau we’re now accepting entries for our 2010 competition. There are two categories – poems and short stories. Prize money totals £4000 with a rather desirable first prize of £1000 in each section. So, why not give it a go? You’ve got till 30th June to pen and polish your winning entry! Comments Off on £4000 of prizes to be won! I’ve just been putting the finishing touches to my novella, Rattus. I have never written a novella before. In fact I’ve never liked the word ‘novella’ much: it somehow suggests smoking jackets and dry sherry. (Possibly I’m confusing it with Ivor Novello.) But actually, I have long believed that my thoughts naturally run to about 100 pages: the 300 page novel has always felt like a marathon. Beryl Bainbridge says somewhere that every time she starts planning a new novel, her first thought is: I can’t do this again. Rattus is about 70 pages, and really couldn’t be any longer. It is a single strand story, told in first person. I have written in first person before (A Sickness of the Soul), but have never attempted the double jeopardy of first person/present tense, a mode which any creative writing teacher (such as, for example, me) would tell you to avoid assiduously. But that’s how it came out, or rather that’s how the first line came out – ‘New people over the road, she says. Look.’ – and so that’s how it had to be. David, our hero, sees a rat in his toilet bowl, and something starts to go horribly wrong in his head. He undergoes a slow and subtle psychological transformation, until he ends up in a place no one should ever end up in. The story is about loneliness and surveillance. It asks: when does protection become control, when does neighbourliness become predation? I wrote it over a three week period, while I had a rat infestation in my house (yes, there was one in the toilet bowl). I got the council in and a cheerful, somewhat Dickensian man in blue overalls put down poison and invited me to inspect droppings. I told him I thought we had mice. Yees, he said, showing me the evidence, something like a grain of cooked basmati rice, but black. Yees. Quite some size, then, these mice? He was happy as a Jack Russell. I was quiet and coldly dismayed. I felt, more than anything, offended. It’s fourteen years (fourteen!) since my last Simon Maginn publication, though I have published novels in my other name during this period. But this is my return to horror, or psychological thriller as I always say in polite company. And the moral of the story? Always check the toilet bowl. Before you sit down. Win a Writers Bureau Proofreading and Copy Editing course! Well, what can I say about Cirque du Soleil except that they were fantastic! They really lived up to expectations and if you get the opportunity, go and see them. My hands were sore from clapping by the time we left. Last week I recommended our monthly newsletter, E-Zee Writer but I’ve just discovered another good read – the Inkwell Newsletter. It’s chatty, informative and provides information on writing-related events, competitions and markets for your work. In the latest issue they linked through to a great article that appeared in the Guardian where a selection of famous authors each suggested their ten rules for writing fiction. There were tips from the likes of Elmore Leonard, Margaret Atwood, Helen Dunmore, Esther Freud, P D James, and my favourite Roddy Doyle. Who, as you would expect, is humorous and doesn’t take himself too seriously. It’s well worth a read even if you’ve no intention of writing a novel yourself because it gives an insight into how the professionals work. If you fancy a spring break, why not try the Sunday Times Oxford Literary Festival which runs 20th to 28th March. As usual, there are plenty of famous names, but I sometimes think that some of them spend more time doing the rounds of literary festivals than actually writing. Perhaps that’s inevitable in a world where writers increasingly have to market themselves if they want to keep the royalty cheques rolling in. 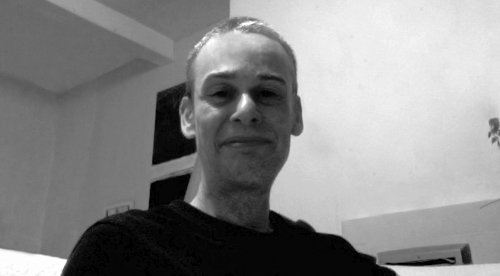 Next week, Simon Maginn, another Writers Bureau tutor, is going to be my guest blogger. I suspect he’ll tell you about his new novella, Rattus, and believe me, it’ll make you think twice before you raise the toilet lid in future! But before I go, don’t forget our latest 21st Birthday competition which gives you the chance to win a Proofreading and Copy Editing course. Comments Off on Win a Writers Bureau Proofreading and Copy Editing course! This week has been a busy one – London yesterday for a meeting of the ODLQC council. This year we’re due for re-accreditation – they like to keep tabs on us and make sure that we’re still living up to our promises to students! Then today I’m off to Birmingham for the Education Show. All I can say is that from previous experience I’m wearing comfortable shoes! Have you picked up on the fact that the British edition of Reader’s Digest has been forced into administration because of a shortfall in their pension fund? We’ve watched a number of magazines start up and then close down during the recession and even some established publications have pulled the plug. But Reader’s Digest has been going for over 70 years and has always been something of an institution. Let’s hope they overcome their problems as in the past they’ve provided a good market for students’ short, humorous fillers. Talking of a good read, I can’t help but recommend our monthly magazine E-zee Writer. I know you’ll probably think I’m biased but it’s packed with useful information, there’s always a first-class article on some aspect of writing and as a subscriber you receive special offers on our courses. It’s easy to subscribe; so if you don’t already receive it, sign up – and let me know what you think about it. This weekend it’s my 30th wedding anniversary. I’ll have to see if I get anything romantic from my husband. Yes, I know what you’re thinking: she should be so lucky after 30 years! But we are going to see Varekai the latest production from the Cirque du Soleil and I’m really looking forward to it. I’ll let you know whether it lived up to expectations next week! Comments Off on Free monthly Ezine!